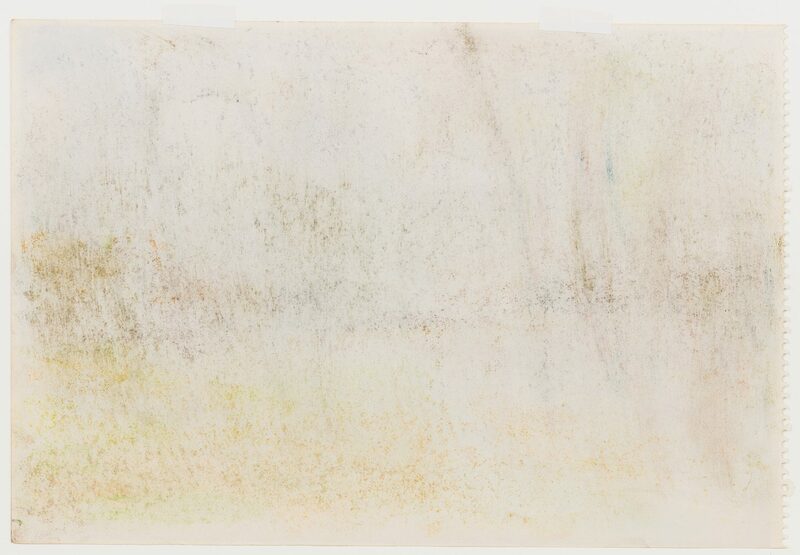 Wolf Kahn (New York/Vermont/Germany, b. 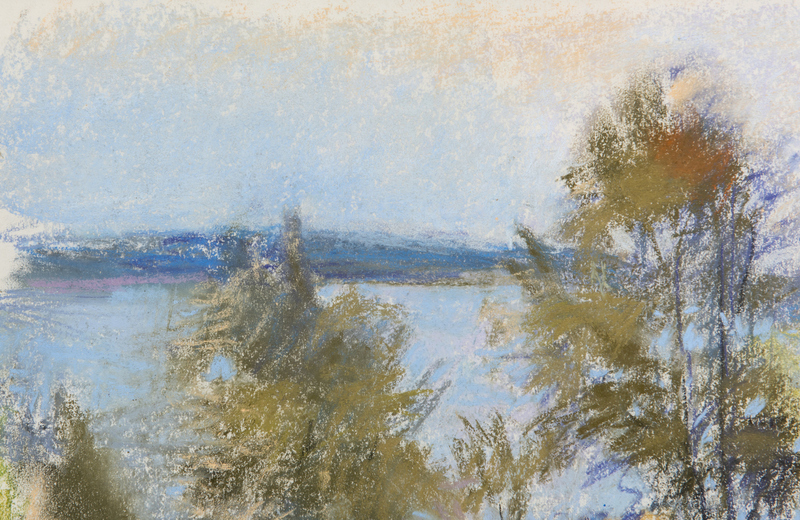 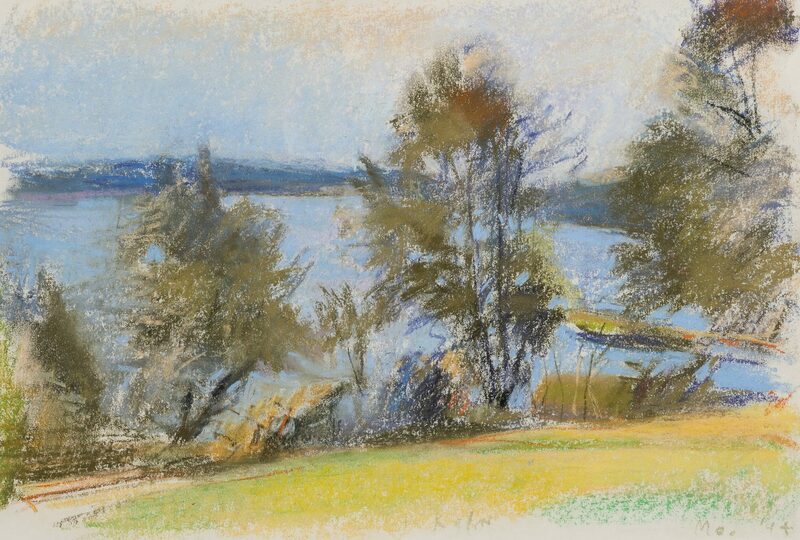 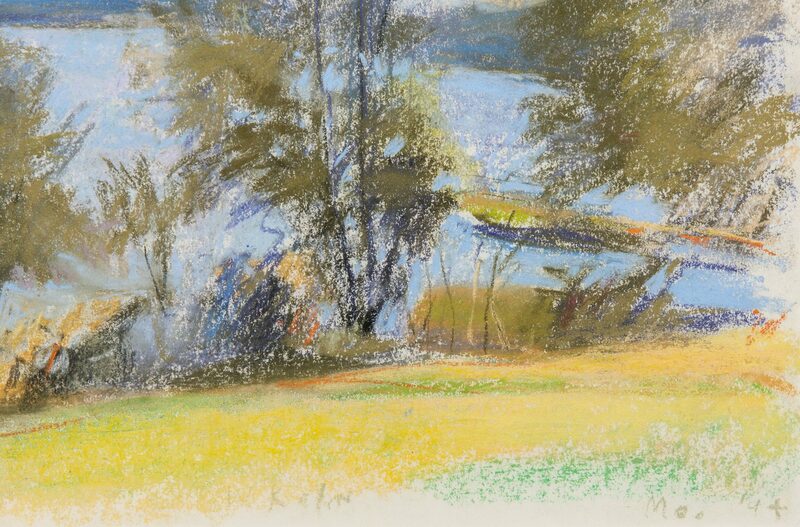 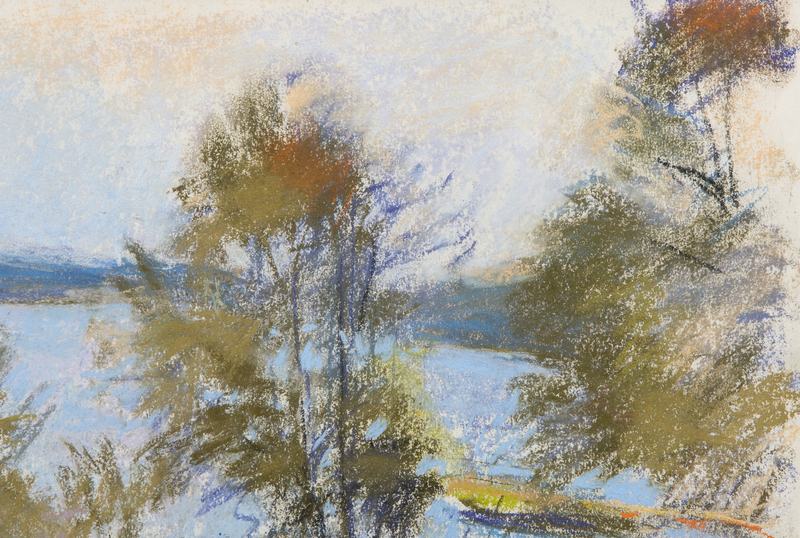 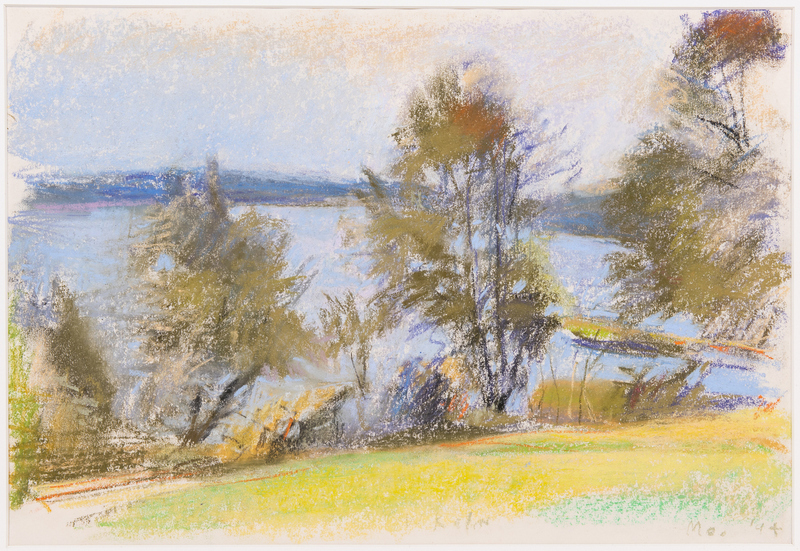 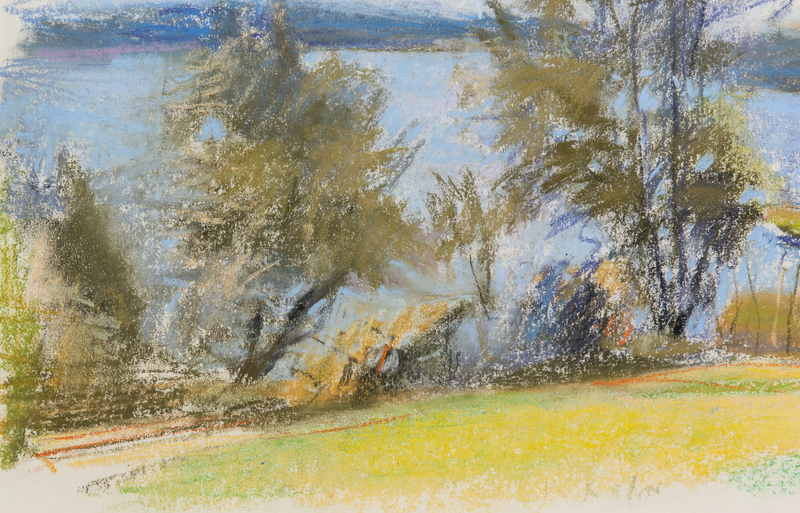 1927) pastel on paper landscape titled "Near Phippsburg, Maine", depicting a tree lined lake with bright green grass in the foreground. Signed lower mid-margin "W Kahn" and dated in pencil '94 with the location "Me." lower right. 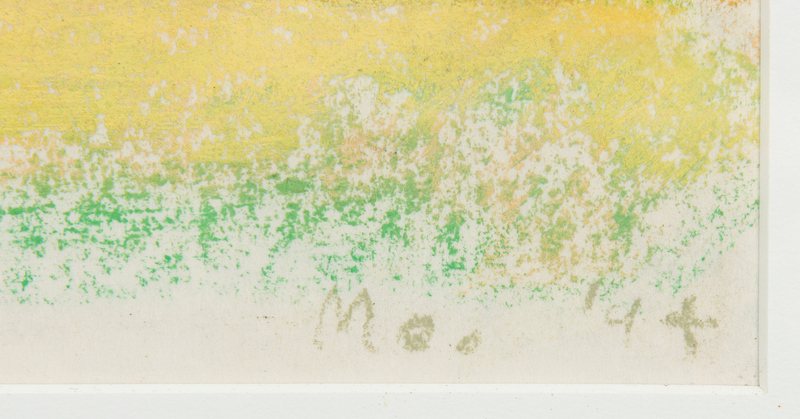 Jerald Melberg Gallery label en verso with number #4365. 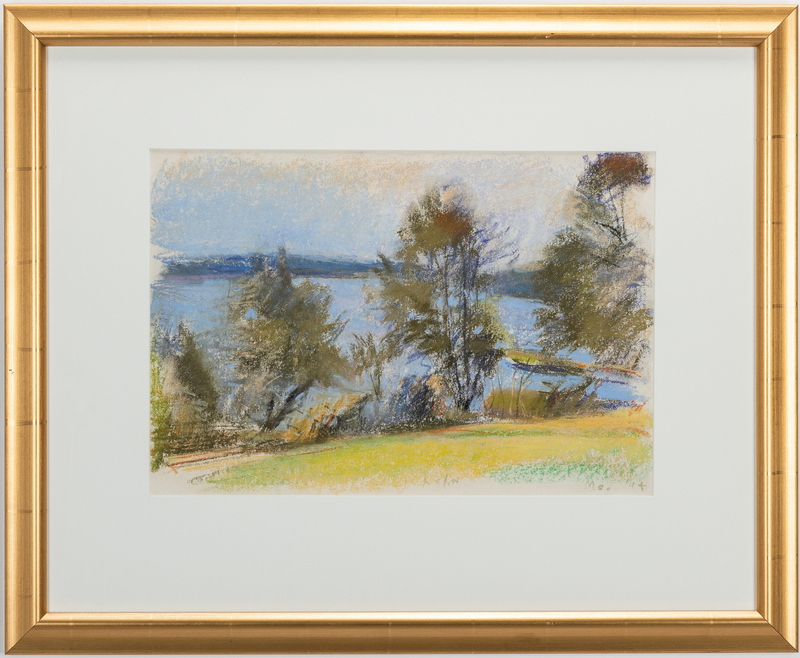 Housed in a molded giltwood frame with wide white matte. 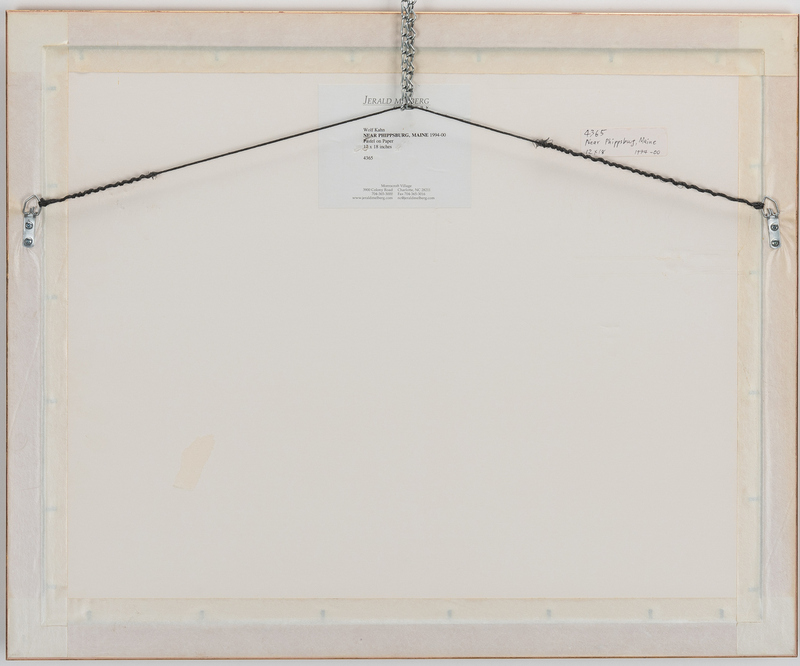 Sheet – 12" H x 17 3/4" W. Sight – 11 3/4" H x 17 1/4" W. Framed – 22 3/8" H x 27 3/8" W. Late 20th century. 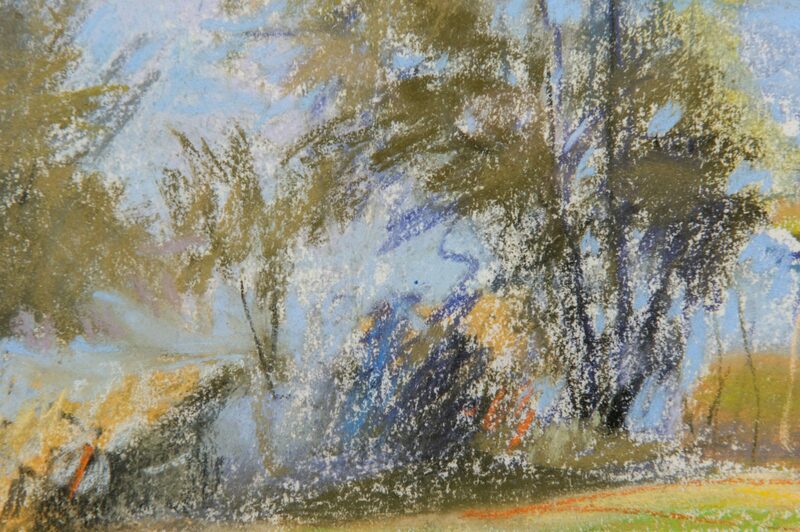 Provenance: Private Middle Tennessee collection, purchased from Jerald Melberg Gallery circa 1990. 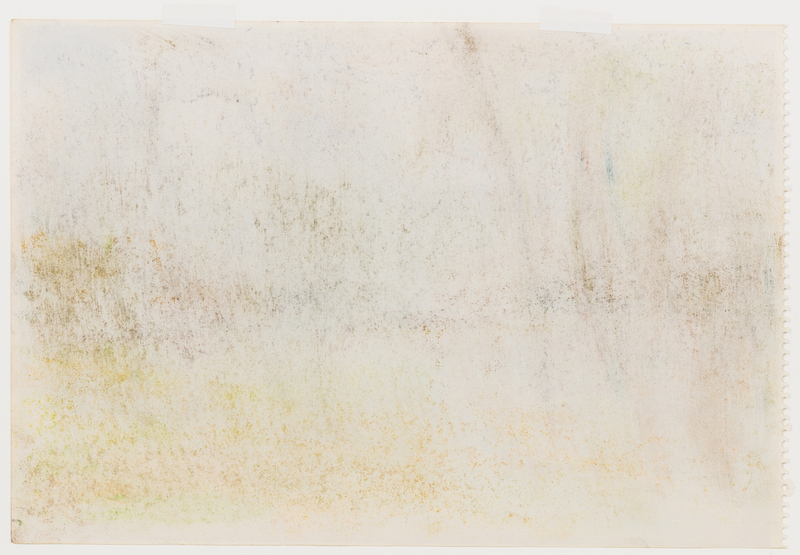 Biography: Wolf Kahn studied under Abstract Expressionist painter Hans Hofmann (later becoming Hofmann's studio assistant) and at the University of Chicago. 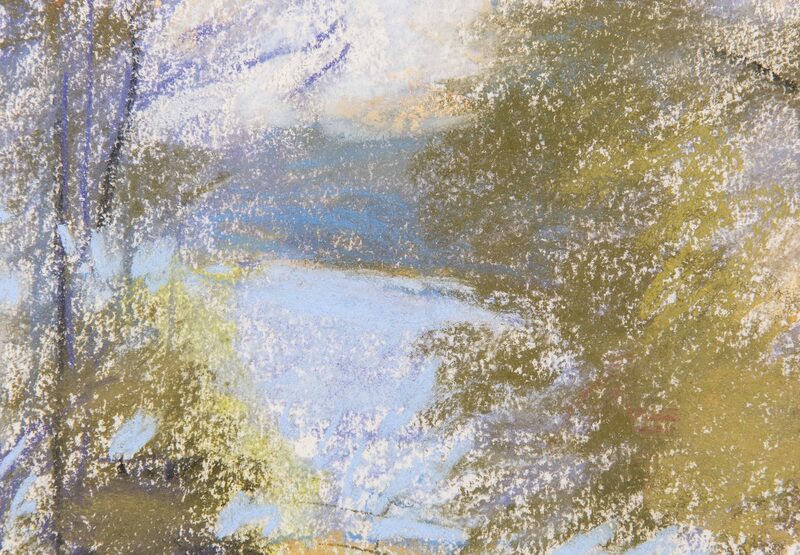 He is known for his works which blend abstractionism and realism with Color Field painting. 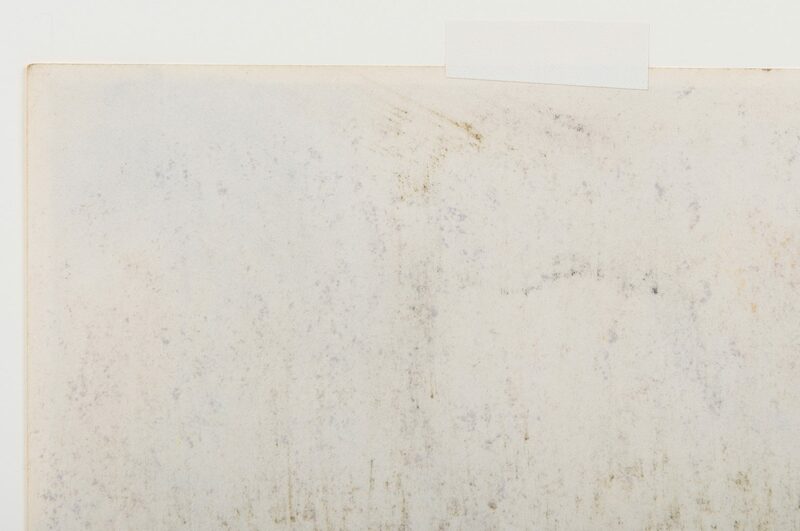 CONDITION: Overall very good condition with slight waviness to paper upper mid-margin. Spiral bound eyelets evident on one side when removed from frame.